Now as much an essential part of the build up to Christmas as the local Village Christmas Bazaar or the pre-cooking of the sprouts - 2018 sees the 20th anniversary of this annual seasonal celebration– they think! No-one is 100% sure when they started, but we are certainly glad they did. With a brand new album to mark the occasion and to share, founding member and bassist Ashley Hutchings is joined by fellow original bandmates – Fairport Convention’s own Simon Nicol on acoustic guitar and vocals, Simon Care on melodeons, and the ‘honey drenched’ divine vocals of one of the UK’s best folk singers, Kellie While. The Albion Xmas Show is a very popular show appealing to all ages. The tour sells out all over the country for the two weeks leading up to Christmas every year. Described in the Guardian as “the perfect antidote to the corporate Christmas”. 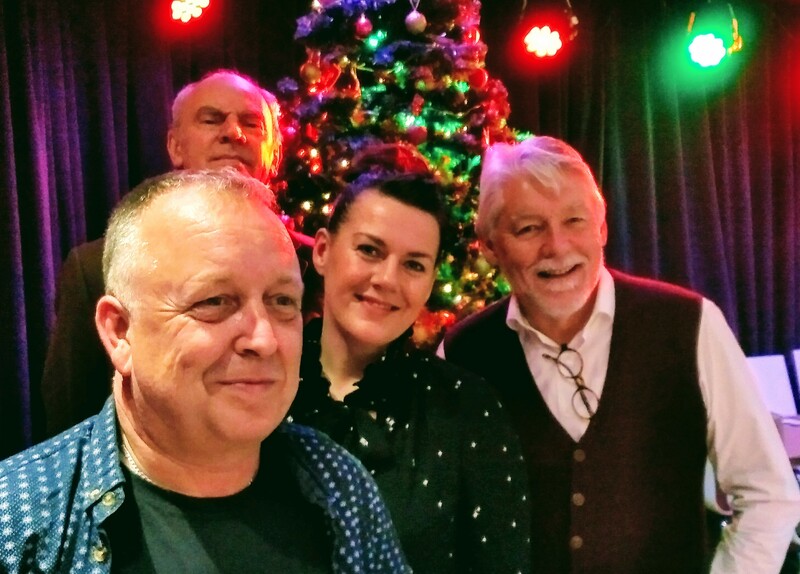 Expect an evening of traditional English Christmas music, humourous stories and beautiful, spine-tingling Christmas carols and ballads sung by Kellie. "I've seen a lot of different Albion Xmas shows (first was in 1984, as I recall) and last night's has to be counted alongside the very best (which was the Lesurf, Morter, Beer incarnation in my opinion). That was so good, and I never expected you to equal it: last night you did - for different reasons...but from start to finish it was splendid - an opinion shared by many local friends who were also there."